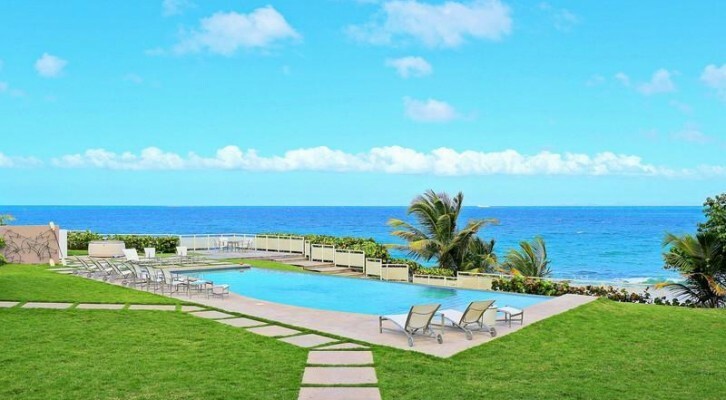 Sold by Oriana Juvelier — Secluded outdoor dining areas, salt water pool, and imported furnishings showcase this ocean vista inspired, Caribbean villa. Unique hand crafted/polished cement beds, dining and night tables, created by Puerto Rican architect and artist Agustin, are among the spectacular accentuation in this Vieques Island, W Hotel Private Residences, villa retreat. Custom designed in 2004, Villa 7 sits regally perched atop a foliage rich bluff, allowing for incredible Caribbean ocean views. Winding down the property’s edge, lies a beautifully pristine piece of small beach, utilized by the residences. This custom built, globally influenced, island retreat spans 6,000 sq. ft., centered on a 1/2 acre plot of land, totaling 21,780 sq. ft. Whether basking in the golden sun, at your private spa and pool, or reveling in the purple and blue sunsets atop your private bluff, this unique, detail refined home is sure to excite and inspire all of your senses.